Introduction: Imagine the incidents such as an aircraft failing when in the air with boarded passengers, the medical equipment blurs off in the middle of the surgery, the missile misses the target and hits the own camp and a heavily invested satellite fails reaching its destiny. One of the reason for these incidents is fake parts otherwise called counterfeit part/component used in them. The amount of loss and tragedy caused by such duplicate components is huge. The fake semiconductor chips and other electronic components are posing great challenges to the world as they have created major threat to safety, security, quality, reliability, and profitability. 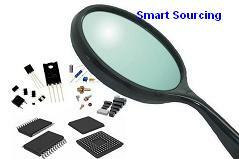 The semiconductor IC parts and other electronic components need to checked thoroughly before purchasing them. This article educates you in buying authentic components and semiconductor chips. You will learn how the counterfeits arise, their impact and how to prevent them. As the usage of electronic devices and equipments has increased enormously, the cost and technology of components have also varied accordingly. There is always a factor of the components becoming obsolete, expensive or hard to find due to various reasons such as demand fall, excess inventory, competitor's upper hand, technology outdates, and so on. Using the internet to surf through the grey market to procure the components is vastly utilized by many companies to meet their demands. Few technology-aware groups have started supplying the required components using the short-cut methods by violating the land rules. These components may not meet the standard specifications. Such components predominantly relate to the obsolete or long-lead time components with a unit price below 10$. The copycat of the original component introduced in to the market that may or may not function as intended for is termed as a fake or a counterfeit part. Counterfeit is a substitute or an unauthorized component produced without the notice of the original manufacturer. The counterfeiter misrepresents the original supplier. Due to huge profits, the counterfeiters are found in many application domains. Counterfeits have even entered the defense/aerospace industry and medical applications. According to Fairchild the counterfeit problem will continue growing as long as it's profitable. "It's like the drug problem. As long as you have people willing to buy it, and the profit margin is there, there will be people willing to sell it". You may ask whether there is a particular category of components affected by counterfeit. The answer is simple "no", counterfeiters have chosen all commodities of electronics, right from capacitors to diodes to memory chips to microprocessor ICs. Counterfeiters are also improving their technique and expertise up to an extent of successfully duplicating a company itself. Technology now exists to optically copy semiconductors and make a layout design at lower cost than using previous technology. 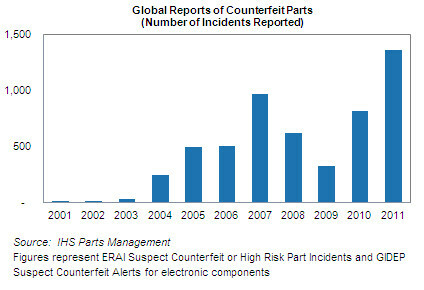 The range and the volume of counterfeit components are expected to further increase in the future. The cloned components are discovered in a number of ways, sometimes customers return the excess inventory where portion (labels, etc.,) of these original components are utilized to fake the counterfeit components. In one of the cases, the failed component in terms of electrical specifications failure from a customer was returned to the original manufacturer and it was found that the component was not made by the original manufacturer. The obsolescence of critical components still in demand is faked most. The parts recovered from salvaged electronics waste which are non-functional are processed by the counterfeiters to give a look of an original component. The fakers remove the components from a board. Then the solder and package is cleaned up to give the new look. Such parts can be caught during the initial visual inspection or during the basic tests or board-level tests. Of course such fake components which are non-functional in nature cause delay in the schedule of the product launch. The cloned parts which are functional in nature create more risks and utmost care should be taken with such components during all the stages of visual and functional testing. There are wide varieties of cases encountered and for each case, the testing methodology varies. For example, the package condition and ink markings on the counterfeits are just as similar to the original. Except for few parametric tests, the fake part passes the other basic functional tests. It becomes so difficult to identify and distinguish the original with the fake components as counterfeiters are becoming the masters of device substitutions. These fake parts are sold in secondary market. So, buying a part in the secondary market is always a risk and hence whoever chooses secondary market should use the best inspection and test methods to reduce the risk and impact. In multinational organisation, there is a success story about how they tracked the source of a counterfeit component. A component from a reputed manufacturer had failed in the field and when investigated with the responsible representatives from design, sourcing, supply chain and the distributor/supplier, everyone was performing their task in the same way as before for many years and never had encountered any issue so far. During the investigation, the sourcing representative had disclosed a bit of information that he, as usually, had contacted Mr.X of the reputed distributor/supplier for procuring the components. Mr.X had already left the company a while ago, and was engaged with the counterfeiters. So, taking it by granted, the sourcing representative had bought the components from Mr.X, an ex-employee of a reputed supplier. Here, the biggest un-noticed fact is that the reputation of Mr.X was taken for granted and the entire episode had evolved. So, the lesson learnt here is that even though we are good at business relationship and reputations, there are chances of getting faked. So, a habit should be developed by the representatives involved in supply chain and distributor/supplier to update and communicate their correct contact details on a timely basis. 11. Some of the broker organisations and distributors, which are small in size, and are non-franchised might be supplying counterfeit components. What harm the counterfeit components can do to a business? 1. Unexpected losses occur due to the failure of systems, devices and applications that can cause severe damage to people and environment. 2. The presence of counterfeit components definitely increases warranty costs and so the maintenance costs. 3. Extra cost incurred right from supply chain's component sourcing/procurement, storing, testing, manufacturing, and servicing will increase thereby the profitability goes down. 4. 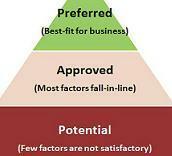 Customer satisfaction factor take a nose dive, retaining the customers will become difficult for affected companies. 5. The expected life of the product decreases as well as the cost of each individual product increases. 1. The affected products are returned by the customers and the company is viable for all the penalties and overheads. 2. Creates undesirable quality issues and reliability failures, thus causing heavy damages to life, property and devices. 3. The production plant is adversely affected even up to an extent of production line stoppages. 4. Losing out to competition and drop in revenues in the market due to the delay in the product launch. 5. Business relationship within supply chain damages severely and hence gives room for disputes and legal actions. 6. Operations and process gets disrupted causing financial losses. 7. The reputation and the brand value of the product and the company are hit directly. Very high efforts are required and the task remains extremely difficult to comeback in the business after once affected. 8. The safety and legal liabilities are imposed on the product, which adds to the production costs. 9. Losing out contracts as well as the compliance claims get weakened, thus creating a huge threat to the customers, company and the business. What factors provide opportunities for counterfeiters? 1. The main reason that stands out is the enormous profits that the counterfeiters avail. 2. The source shortages and limited availability of critical components causes the demand increase and hence fake parts gets in to the market to meet such demands. 3. Single-sourced and hard-to-find components are the biggest drivers of counterfeits. 4. Obsolete or EOL items with Last Time Buy (LTB) date passed many years ago. 5. Urgency in releasing the NPI to the market due to various business reasons and hence procuring the components in unauthorized sources and grey markets. 6. Business in the grey market to satisfy the budgetary constraints; but grey market components aren't always necessarily counterfeits. 7. The green or environmental compliance regulations such as RoHS, REACH, etc., create demand for non-RoHS components for use in applications which are exempted from these regulations. 1. First precaution is to control the source and the inventory (the "supply chain") - by properly maintaining, updating and reviewing the information as said in the introductory module. 2. Keep a better watch on life cycle of each component. Be ready with multiple alternate components and sources in case of the component nearing to its end-of-life (EOL). In case of single-source components, better have enough stock in-hand, even though it adds to the sleeping budget. 3. Prefer purchasing the components from the manufacturer directly as much as possible. If it is not viable, then approach the franchised distributors and qualified independent distributors. Proactively, get the contact details and addresses of the distributors from the original manufacturer directly or get them confirmed. Maintaining and assessing the potential suppliers can help a lot. 4. Adopt a thorough screening of components and perform inspections with sophisticated instruments like X-ray fluorescence (XRF), digital X-ray instruments, microscopes, etc., for destructive of non-destructive methods. After all, "it's better and smarter to prevent than repair…!" 5. Check for the unnatural language, logos, fonts of the printed text, layout of the information, and compare the product information against the original purchase order. 6. Gather, update and store what codes (marking, lot, date, shipment, bar, serial, etc.,) are to be inspected and confirmed them from each supplier/distributor independently. Even though the extra time is consumed here, it saves a lot of time in the next stages and more importantly the customers and the brand image are not hit. 7. Implement tracking system inside the supply chain such that every component is traced back to their purchase history, representatives involved and the date stamp. 8. Look for distributor's/supplier's certification, their revenue and history. Probably the preferred supplier's list, if maintained, can provide more details and pointers to scrutinize the authenticity. 9. If feasible, subscribe to the industry's available databases who maintain the overall reports and cases of counterfeits. 10. Implement stronger purchasing contracts that specifically deal with the clause for counterfeits and making the suppliers viable for product impoundment and financial losses. 11. Report the counterfeits to other buyers, stakeholders and criminal investigation authorities (GIDEP, ERAI). Do not return the counterfeit components to the seller. In a nut shell, the companies can form a team comprised of members from every department to drive the organisational level plan and strategy. Also, the team should be equipped with better trainings and awareness. It's not one team's responsibility, because each sector of the supply chain faces a different crisis and situations and a best practise can be shared and implemented across the entire organisation effectively. 2. From original equipment manufacturers (OEMs) to contract manufacturers and from component suppliers to component buyers, the supply chain participants in 2011 reported 1363 separate verified fake-part incidents worldwide, says IHS. 3. The worst offenders by supply chain segment, as reported in an OCM survey are, brokers (50%), independent distributors (45%), internet exclusive sources (36%), individuals (26%), authorized distributors (21%), contract manufacturers (12%), OEMs and others (10% each), Subcontractors (5%) and Component manufacturers (2%). 4. The OCM survey also presented, the China tops the list with 42 sources of suspected counterfeits followed by Taiwan (10), Philippines (8), Malaysia (7), India (7), Russia (6), Indonesia (5), Vietnam (4), South Korea (4) and others (18).